Sprawling suppliers? Invest in remote monitoring. 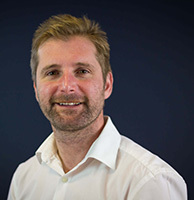 Jonathan Wilkins, marketing director at obsolete parts supplier, EU Automation explains how remote monitoring optimizes supply chains. Remote monitoring is not new technology. In fact, this method of measuring processes is already ubiquitous in many areas of manufacturing. Providing users with real-time insight into the operations of sites, remote monitoring enables manufacturers to understand exactly what’s occurring in their facilities. Globalization means that manufacturing facilities are no longer operating as independent silos. More often than not, supply chains for manufacturers encompass multiple production sites, often spanning across several countries and continents. This dispersed geographical reach means that manufacturers are increasingly dependent on technology to monitor the operations of their suppliers. However, not all manufacturers have embraced this technology due to fears about data breaches. Remote monitoring is often criticized due to concerns about cybersecurity. This may stem from the fact that this technology is designed to be accessed from any location, meaning that plant managers can monitor processes in their supply chain regardless of whether they are onsite, at home or elsewhere. Using this technology, data is collected from all areas of the supply chain, before being processed and visualized in an easy-to-understand way. Due to the masses of data required for this process, much of this will be stored in the cloud. Requiring the use of cloud storage is one of the reasons some manufacturers are wary of remote monitoring. However, they needn’t worry about the security of these platforms, as respectable remote monitoring technology is designed with security in mind. In fact, many of these control systems will be developed in accordance with IEC 61850 — the international standard for security in control systems. What’s more, modern software is designed with various cut-outs, permission layers and encryption between the chain and the cloud — meaning it is possible to adopt these technologies and remain safe from security breaches. The case for remote monitoring of supply chains is clear. But, what are the consequences of ignoring this technology and instead, maintaining a poorly managed supply chain? Here’s a quick example to illustrate the risk. Let’s say an automotive manufacturer hasn’t received an order of Electronic Control Units (ECUs) for its vehicles. Investigating, the manufacturer discovers that the supplier of these units has experienced a machine breakdown in its facility. As a result, deliveries are delayed by several weeks. Automotive manufacturers are often working to strict delivery dates, due to pre-orders made by customers. Because of the unexpected delay, the automotive manufacturer is receiving a backlog of complaints from customers, with some requesting discounts and compensation due to their delayed vehicle deliveries. While it is unlikely that the automotive manufacturer could have predicted the supplier’s machine breakdown in advance, using remote monitoring to observe the supplier’s operations could’ve highlighted the breakdown as soon as it occurred — giving the manufacturer more time to react. Remote monitoring software allows manufacturers to see supplier’s production data in real-time. By doing so, a breakdown or failure would have triggered an alert which would have been picked up immediately. In this case, the manufacturer could have minimized the financial and reputational damage caused by the machine breakdown, informing customers of their postponed deliveries as soon as the risk occurred. Alternatively, the manufacturer could have reacted to this alert by finding a new, interim supplier to provide ECU’s for the outstanding vehicles. That said, remote monitoring is not solely beneficial for error recognition and alerts. The technology can be used to make intelligent business decisions and create improvements in the supply chain. For sectors like fast moving consumer goods (FMCG), which are often subject to rapidly changing customer trends, this network-wide insight can increase competitiveness and profit. Consider this as an example. A toiletries manufacturer has received negative feedback on a new variation of a shampoo product. Following an unsuccessful launch and critical customer feedback, the manufacturer wants to return to the original formula. Doing so would require immediate changes to raw material orders, which could necessitate the need to source new suppliers or renegotiate with existing suppliers. Using remote monitoring which is integrated with enterprise systems, like Enterprise Resource Planning (ERP), manufacturers have the potential to do this more quickly. An integrated ERP system, for instance, could automatically identify which suppliers have capacity to deliver the required ingredients. This means manufacturers aren’t required to search the market for the best-priced ingredients or fastest available delivery but can instantly identify the best method to resume production. 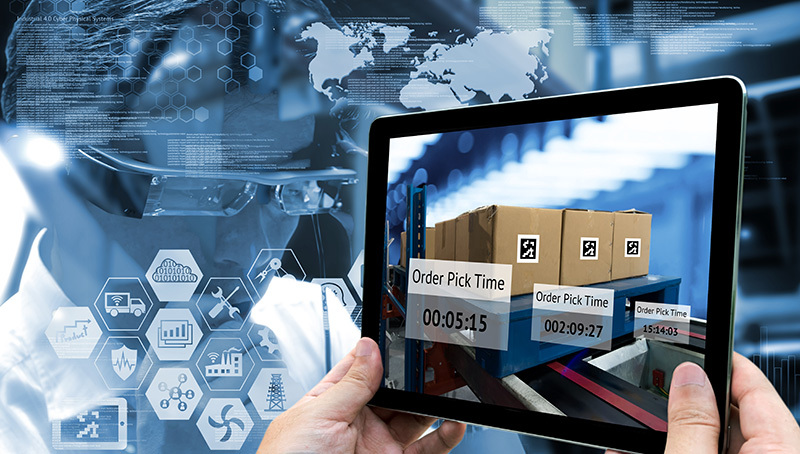 Maintaining a reliable and efficient supply chain is the backbone of successful manufacturing, and manufacturers should not shy away from technology that can assist in managing these sprawling networks. Remote monitoring may not be a new invention, but failing to expand this technology across networks could leave supply chains lagging behind.